The amount of data produced today is vast and for organisations to make good business decisions, they need to look at the quality of information being produced by business intelligence (BI) solutions, especially in today's data-driven economy. 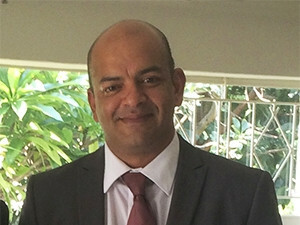 So said Hiten Goshalia, CEO of Open Media Platform, in an interview with ITWeb, who noted making the best decisions not only requires the best data, but the best way of interpreting that data. Thus, he called on organisations to turn BI into visual intelligence, saying visual intelligence is a BI tool that has the ability to generate, store, retrieve and transform visual images and sensation. "No matter how brilliant a BI solution is - decision-makers need to know what to look for given the big data syndrome. BI does not make your business act intelligently. It doesn't allow for the business to become more responsive or automatic in terms of how it engages with its mandate." However, it's the people in the company that ultimately drive an organisation forward. For them to be effective in their decision-making processes, one of the tools that they require is the visualisation tool, said Goshalia. He pointed out there is a lack of understanding as to the use of visual intelligence tools by organisations. "They haven't fully realised how they can use these tools to monetise the terabytes of data they are sitting on to gain a real-time view of their business and alter the business trajectory using data as a strategic asset." Organisations need to ask real questions pertaining the use of historic, current and future information, generated and processed - which will aid in decision-making across the whole organisation, said Goshalia. The visualisation tools are becoming critical to the decision-makers and their respective information technology departments to identify and build data schemes and models respectively, he added. According to IDC, visual data discovery tools will grow 2.5 times faster than rest of the BI market; investing in this enabler of end-user self-service will become a requirement for all enterprises by 2018. Goshalia noted by using visual intelligence, businesses are able to do trend analyses in an easy-to-use format in real-time. This allows the business to make better decisions based on better information that will result in clear communication and achieving targets across the organisation, he said.